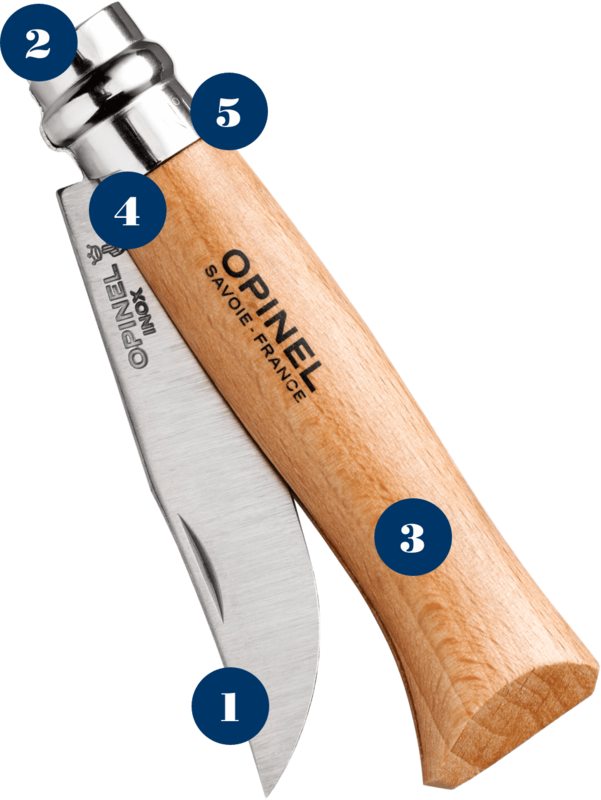 Both smart and simple, the Opinel knife is composed of 5 elements: the blade, the haft, the fixed ferrule, the rivet and the rotating ferrule that was added in 1955. The No. 08 features a sharp 8.5cm blade, a comfortable 9cm haft, and weighs in at an efficient 45 grams! 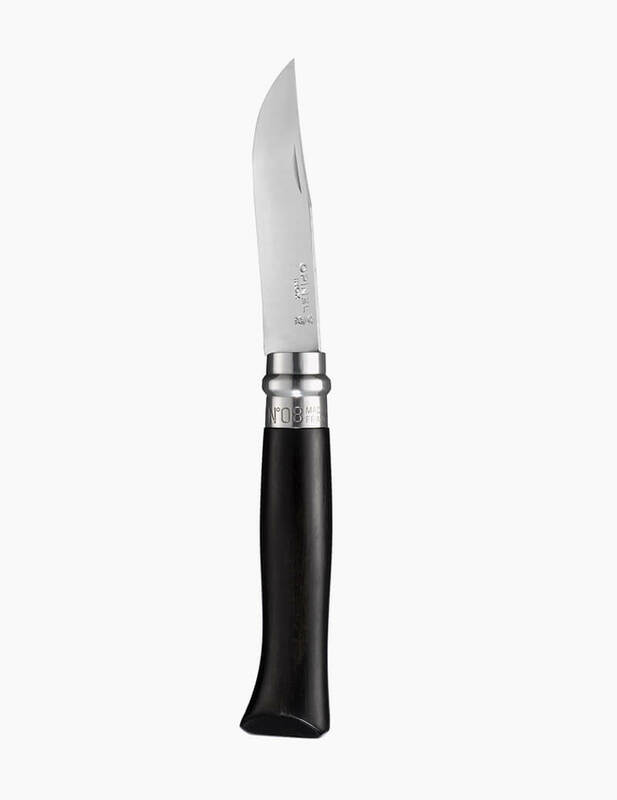 Sharp traditional Yatagan blade with a convex profile and a nail nick for opening. 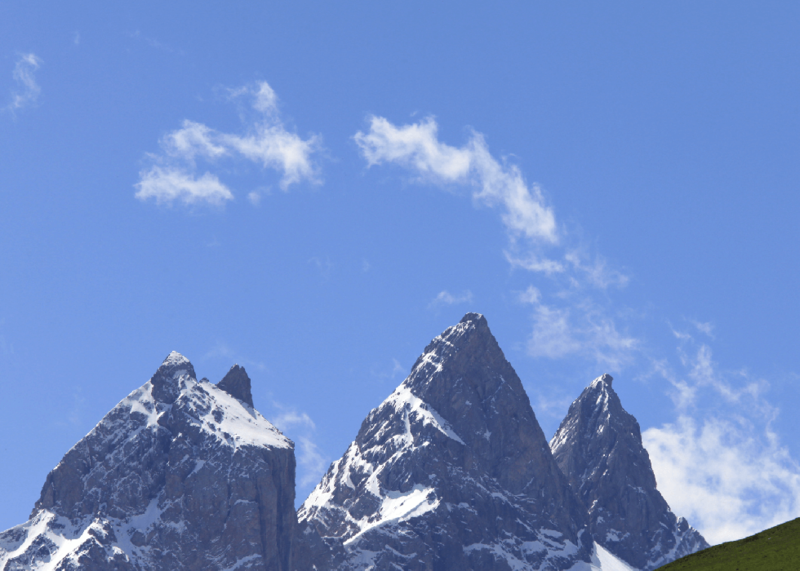 It is stamped with the Crowned Hand. Rotating ring to lock the blade in its open or closed position. 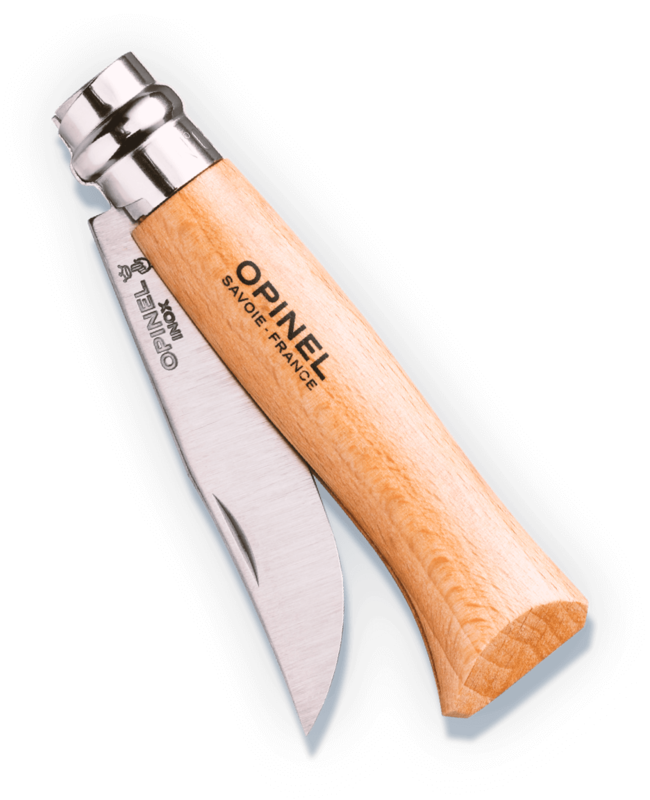 Everyone choose his/her own Opinel N°08. it adapts with the times and to new uses. 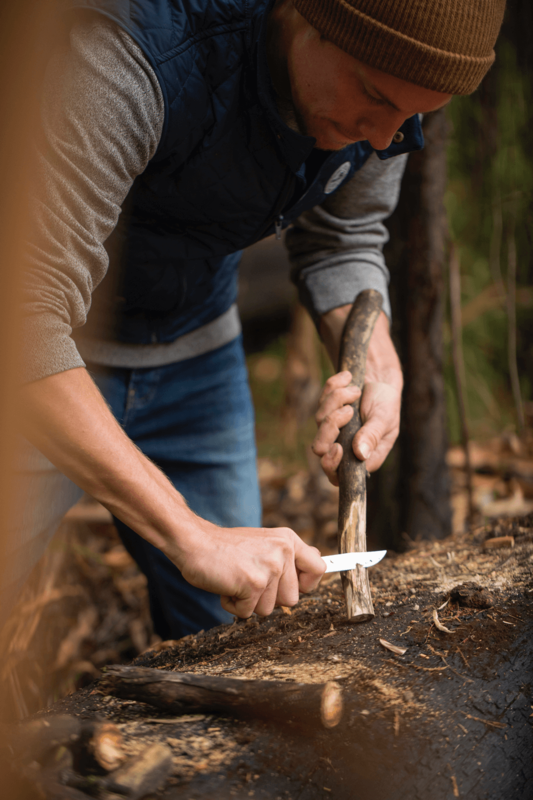 This little pocket knife has been handed down from generation to generation and the shape that hasn't changed since 1890 has made it famous as well as endearing. 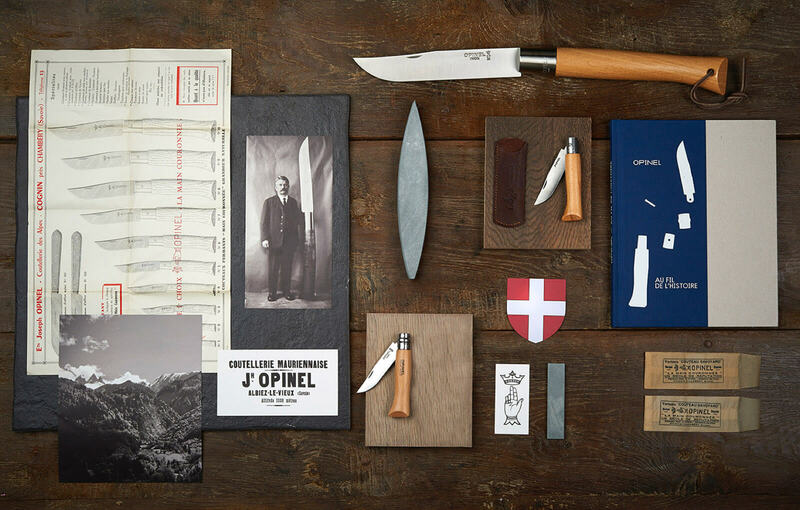 In 1890 Joseph Opinel was 18 years old and worked in the workshop of his father, a blacksmith/edge-tool maker in Albiez le Vieux in Savoie. 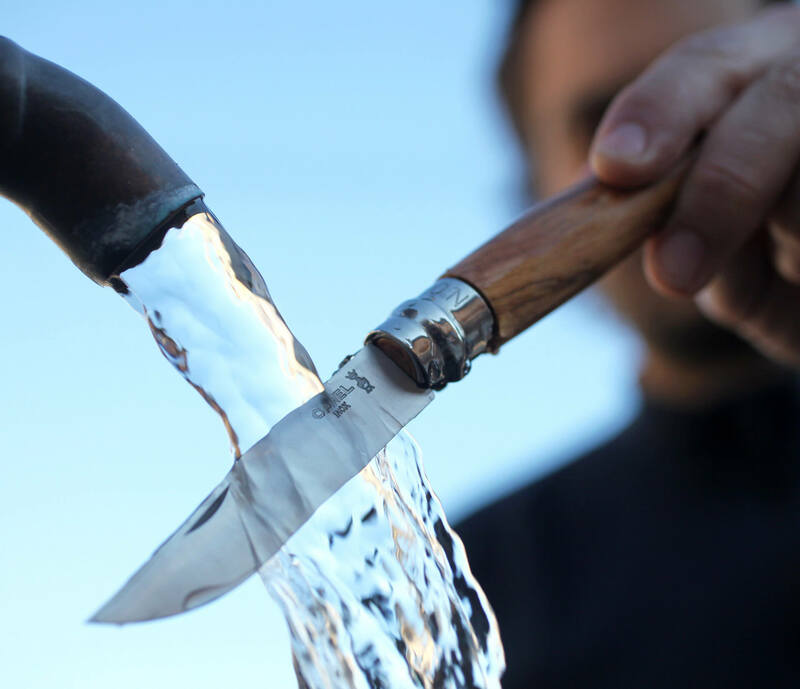 He drew and designed a small pocket knife aimed at the farmers and villagers in the region. 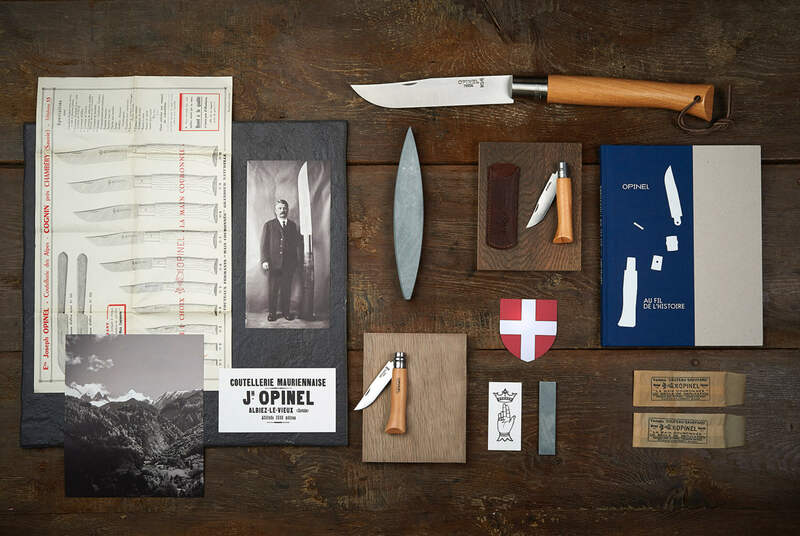 Following the success of his knife, Joseph developed a series of twelve different sizes in 1897. 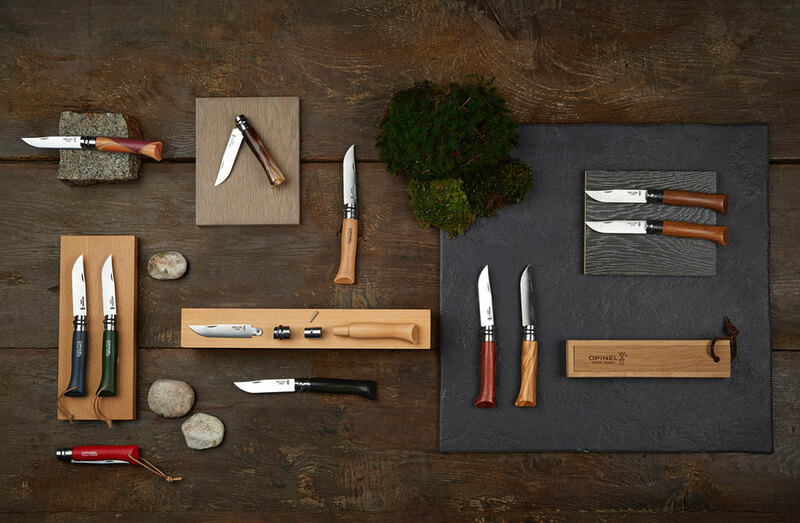 The knives were then numbered from the smallest to the largest, from No. 01 to No. 12. Due to its compact size and ability to fit well into the hand, as well as its 8.5cm blade and varnished wood haft, the No. 08 became very popular. 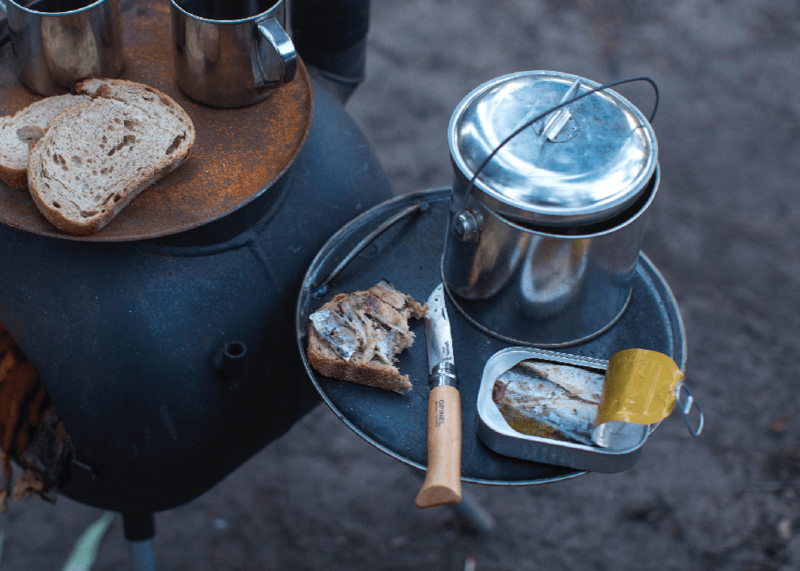 As it is so versatile, it is used both at the table and in the field, to cut up dried sausage, for dinner times and for doing DIY as well as sculpting and gardening. As an item that is now part of French cultural heritage, it is now recognised worldwide as a design icon, being exhibited at the MoMa in New York as a classic among classics.